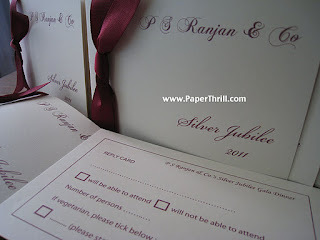 A celebration of 25 years is indeed something to be proud of and why not do it in style. 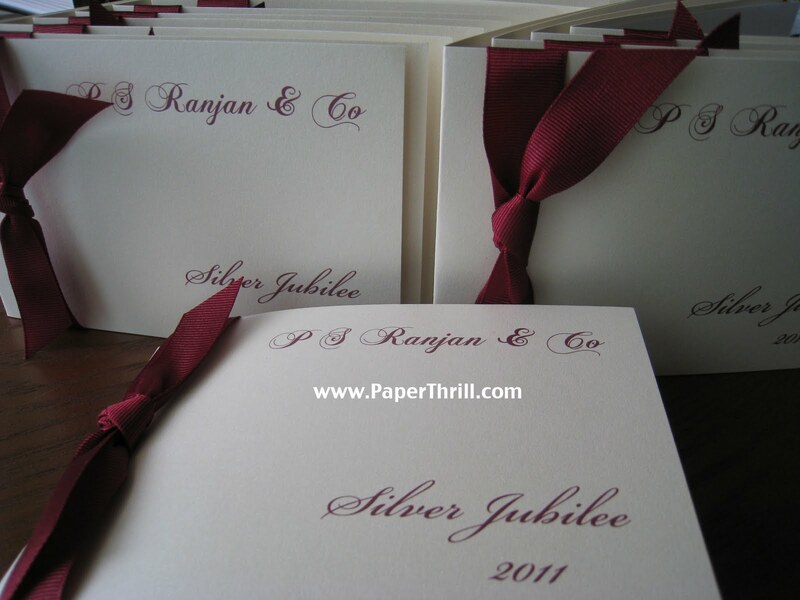 These invitations are modification of our Dainty Daisy card which are very popular for weddings but instead used for our client's Silver Jubilee celebration. 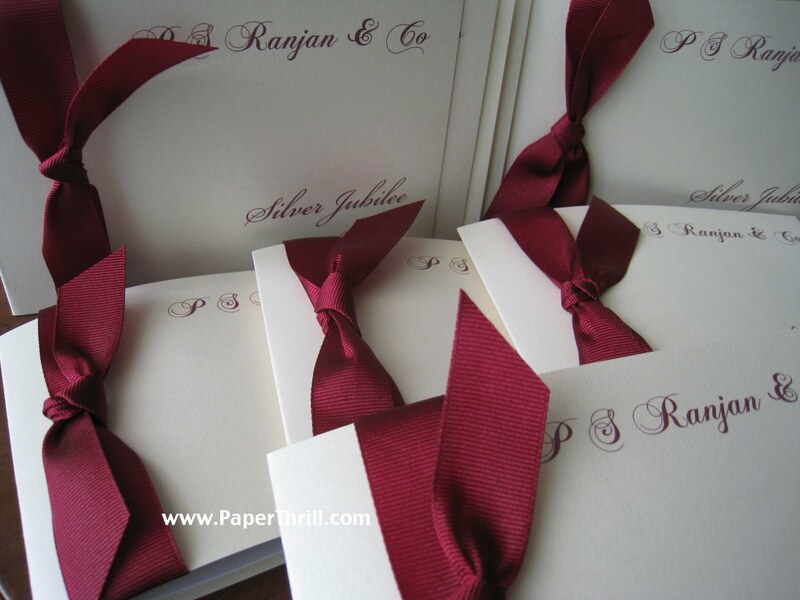 Instead of a satin ribbon, we tied a deep burgundy grosgrain ribbon knot and decided to drop the faux diamond daisy flower for a more corporate look. 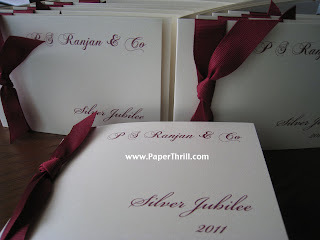 R.S.V.P cards were also done to compliment the invitations.